My first trip to The Field leaves a fine layer of dirt covering my entire body. My teeth are gritty. The insides of my fingers and crevices of my elbows are dusted with brick red dirt. I stand in the shower and watch the dirt run off and pool at my feet, revealing a sunburn that blossoms down my chest and forearms. When I look in the mirror, my cheeks and forehead are red. There is no SPF in the world high enough, I realize, as I turn left and right surveying the damage, to protect me from a day in the Sub-Saharan heat. A sign of transition: new skincare routines. This is a sign of a transition: definitions change. I’ve been in Malawi for three weeks. 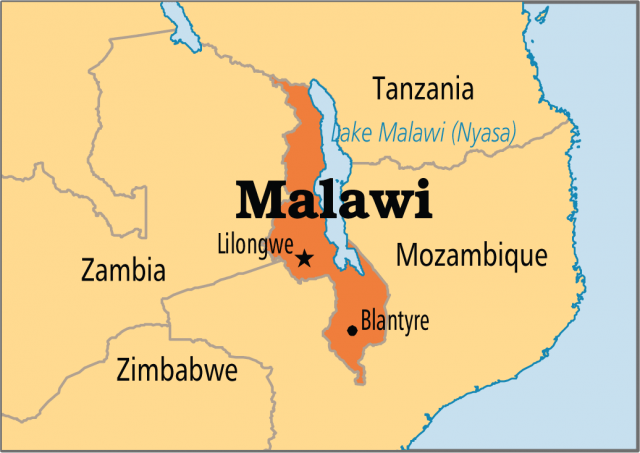 Malawi, a little sliver of a country in Southeast Africa, sandwiched between Mozambique, Zambia, and Tanzania. This area of Africa was known as Nyasaland under the British, who ruled until 1964. Then, an American-educated Malawian named Hastings Banda took over, declared himself, “President for Life”, and proceeded to run the country with an iron fist until 1994. He lead a repressive, violent regime supported by Western governments who feared the spread of communism. Once the Cold War ended, it was only a few years before international pressure and internal protests ended his presidency. This is a sign of transition: a new history to learn. I learned to drive on a left-handed stick shift and promptly got lost, circling Lilongwe for forty-five minutes as the sun went down, my palms getting sweaty and my eyes filling with tears as I realized that I was lost and alone on a continent I didn’t know. I finally stopped and asked a man selling newspapers. “Just there Madam!” He said, gesturing to a road I hadn’t noticed in the dwindling light. I was 800 meters from my house. A transition is a new geography. This is the fourth country I’ve lived in this year: Bolivia, Ecuador, and seven weeks in the U.S. I’ve been zipping and unzipping luggage, shoving heavy suitcases full of trinkets into overhead bins, scattering bits of myself across the hemispheres. All of these moves have created a folder in my brain titled, “Moving: Again.” Here is where I store my list of necessary items to pack (french press, floss, ciprofloxacin, my niece’s drawings), rules for a new country (only get into yellow taxis, don’t drink the tap water, never offer up that I’m a single woman living alone), and self-care tips (pack the yoga mat, don’t sleep in contacts, stop reading so many news stories). As I transition I notice my brain trying to make sense of so much movement and change. Our brains, when confronted with new contexts and cultures, often search for broad commonalities between cultures to understand them. In cultural competency literature, this is called minimization. Minimization means, “An orientation that highlights cultural commonality and universal values and principles that may also mask deeper recognition and appreciation of cultural differences.This can be helpful for a framework but gets dangerous when we start making false equivalencies so that it fits our own mental framework. I’ve been trying to be aware of this here. I’ve never lived in Africa before. I’ve never worked in Africa before. Africa is an enormous continent. Not only is Malawi new to me, this entire part of the world is new to me. My American education has not prepared me well for the intricacies and complexity of Malawi. …and a french press, floss, and a few of my niece’s drawings.